According to the Employment Rights Act 1996, employees are entitled to emergency time off. In the case of bereavement, emergency time off would be a ‘reasonable’ period of unpaid time off in order to take essential action that arises from the death of a dependant – a spouse, child, parent or individual who lives in the same household as the employee and is under their care. What counts as reasonable time off? Legally, this refers to the time required to address the practical matters that arise from the death, making funeral arrangements, for example. Time to grieve, however, is not accounted for. Is offering compassionate leave a legal requirement? 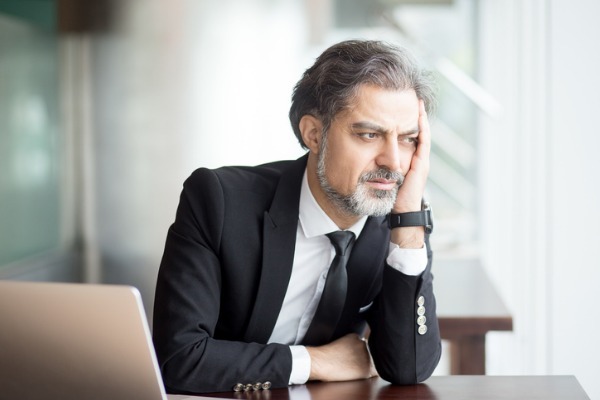 For the time being, employers are not legally required to offer compassionate leave (also known as bereavement leave) to employees. Only emergency time off for dependants need be granted. As a result, it falls to the employer’s discretion to determine whether any additional leave, above and beyond emergency time off, will be offered to a bereaved employee and whether this will be paid. Whether an employee is entitled to compassionate leave for the death of someone not legally considered a dependant is a further factor for employers to consider. With research indicating that one in ten employees will be affected by a bereavement at any one time, it’s inevitable that, at some point, one of your own employees will lose a loved one. It’s important to be prepared, and to have defined your company’s approach to offering compassionate leave before an employee bereavement occurs. This is where a compassionate leave policy becomes invaluable. Without one, you risk making emotion-based judgments and treating your staff inconsistently, possibly to the extent of discrimination. READ MORE: What to include in a compassionate leave policy, and why you need one. While there is currently no law around the provision of compassionate leave, it’s worth noting that several employment laws do become relevant in the situation of a bereaved employee. As employees are protected from discrimination on account of their religion or belief, employers should try to accommodate religious bereavement requirements where reasonable. If you refuse a request of absence to observe a religious custom or funeral rite, you must have objective and sound business reasoning for your decision. Without this, your refusal could be deemed as indirect religious discrimination under the Equality Act 2010. It’s also important not to discriminate between married couples and those in civil partnerships as this could be considered discrimination. For example, if your compassionate leave policy allows for compassionate leave when someone’s husband or wife dies, the same allowance should be available to those who have lost their civil partner. It’s worth remembering that the Equality Act also protects disability. Grief can often trigger symptoms of depression, which could amount to a disability. It’s important to be alert to this, and remember your responsibility under the Equality Act to make reasonable adjustments should your employee’s grief become disabling. In the situation where an employee’s baby is stillborn after 24 weeks, or if the baby passes away while the mother is still on maternity leave, the employee would still retain her full entitlement to maternity rights. In September 2018, the Parental Bereavement (Leave and Pay) Act 2018 was passed. Two weeks leave, to be taken within 56 days of the death. Statutory bereavement pay, provided the employee has sufficient length or service and earnings. Whilst the question about who will qualify as a ‘bereaved parent’ is still to be set out in the regulations, the Act recognises that it is not only the biological parents of a child who assume parental responsibility. The law is expected to come into force in 2020. When it does, employers will need to review their employment policies to ensure they comply with the new law. If you’d like advice on the steps you might need to take to accommodate upcoming legal changes around parental bereavement, or guidance on complying with employment law around emergency time off or workplace discrimination, our HR consultants can help. Get in touch today.